Copper Centurion Release Date Announced! Greetings to all my readers and fans! 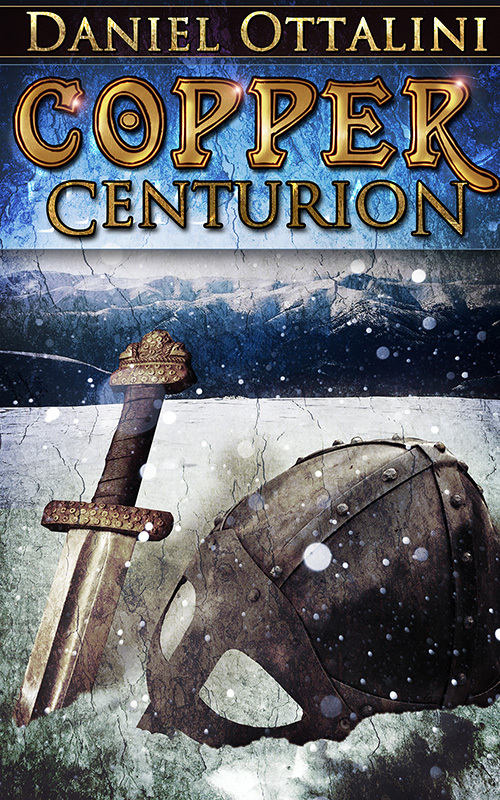 I am extremely excited to announce that Copper Centurion will be released on May 1, 2013. This full-length novel has roughly 80,000 and will be on sale for $3.99 on Amazon, Barnes & Noble, the iStore, Kobo, and all other platforms through Smashwords. There will also be a print version available on the same day. 7-10 people willing to read ARC copies of the novel. 10-15 people willing to host me for a blog tour in May. 2-3 people to be on my ‘street team’ – requesting the book at your local library, leaving the promotional posters at the local independent book store/library if possible, generally promoting it on twitter, goodreads, etc. If you’d like to do any of these (or just want to know more) email me at daniel(dot)ottalini(at)gmail.com. If you’re nice enough to help me make this book release a blast, you’ll get some awesomely exciting prizes. A digital arts booklet featuring all the illustrations from the series (so far) plus never-before seen concept designs and rough sketches. This will be done on a first come, first serve basis, so sign up for your slot today!